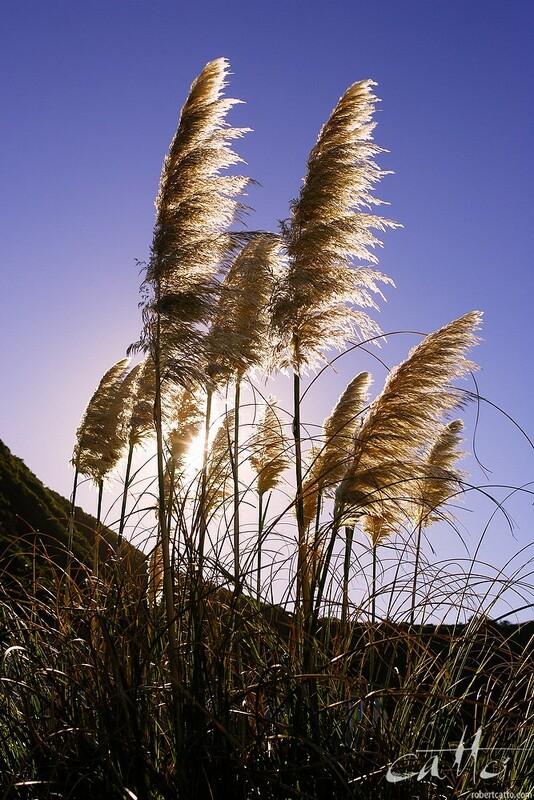 Another for the Lost & Found files: these grasses are one of those things that New Zealanders recognise immediately - though I'm sure someone told me recently they're actually not a domestic plant, they're South American pampas grass! I'm not sure about that - I think there are a few species which are similar, some of which are local to NZ - I just can't be sure which one happens to be in this photo. Either way, they're part of the modern NZ landscape. And they look pretty good backlit, too!